For over fifteen years, top collectors and institutions have trusted Artemis as their sole provider of logistics and collection management services, and we have tailored these services to meet the specific demands of blue-chip collections of historic and modern masterworks. We provide our clients with short and long term storage options in our 59,000 square feet, high security building. 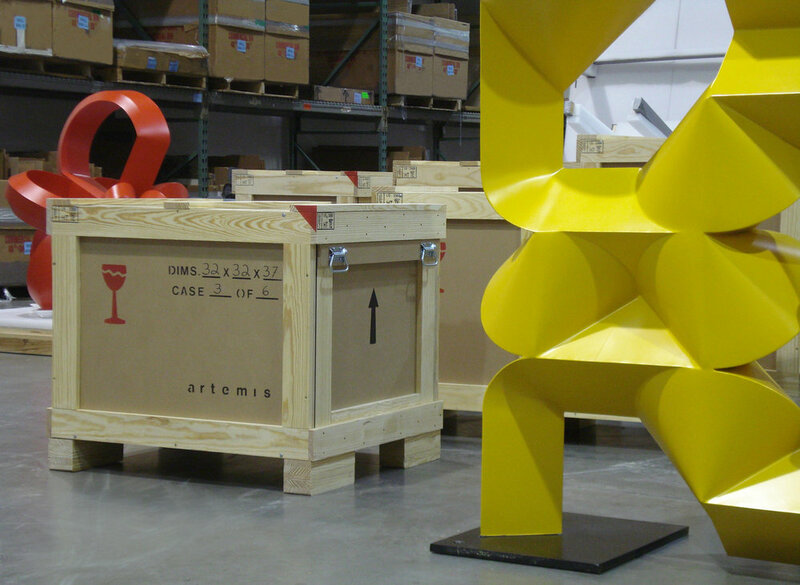 Artemis storage maintains your collection with security, assurance, care, and discretion. Our warehouse is staffed with in-house fine art handlers and registrars, allowing for quick and easy access to collections. We utilize methods approved by the American Association of Museums for the preservation of fine art, family heirlooms, antiques, furniture, sculpture, and more. Our climate controlled warehouse facility meets museums standards with 24 hour video surveillance, key-card access, temperature and humidity control (70°± 4°, 50% RH), integrated pest management, fire suppression, backup generator, UV filtered lighting, customized private rooms available on request, and viewing room. To aid in tracking your holdings, the Registration Department provides each storage account with regular Inventory Reports and Checklists for incoming and outgoing transactions. We offer financial incentives for high-volume, long-term storage clients through our Preferred Client discount program. Top collectors and institutions choose Artemis because we individually assess each artifact to determine the optimal storage strategy given the object's distinctive physical properties and design characteristics. Please contact the Registration Department for a consultation by sending an email to registration@artemisfas.com.